The Cornley Polytechnic Drama Society attempt to put on a 1920s’ murder mystery, but as the title suggests, everything that can go wrong… does, as the accident prone thesps battle on against all the odds to get to their final curtain call. This brilliant new laugh out loud comedy performed by Mischief Theatre Company has enjoyed two successful runs in the West End and was the sell out smash hit of the Edinburgh Festival with its sensational reviews, numerous accolades and awards. 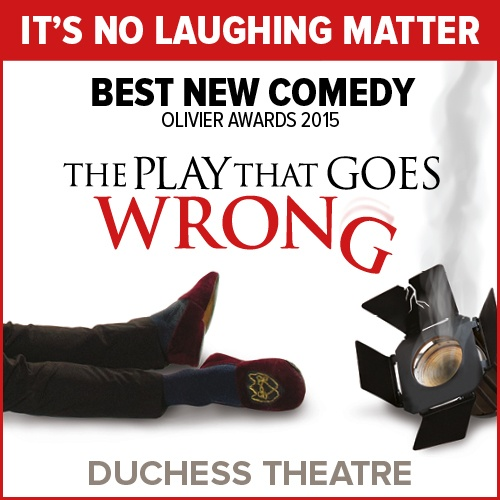 The Play That Goes Wrong is guaranteed to leave you aching with laughter!